A rare honour has been awarded to one of our favourite Hobie sailors. Upu Kila is the recipient of an MBE (Member of the Order of the British Empire). This award is presented to individuals for outstanding service to the community. For nearly 40 years, Upu has represented Papua New Guinea in sailing. He was the first Indigenous person from PNG to sail Hobie Cats and was the first Indigenous sailor to represent their country in the South Pacific Games. A lifetime of participation is only the beginning of this story. Upu has given back to the sport he loves in many ways, but his passion has been introducing and supporting youth sailing. 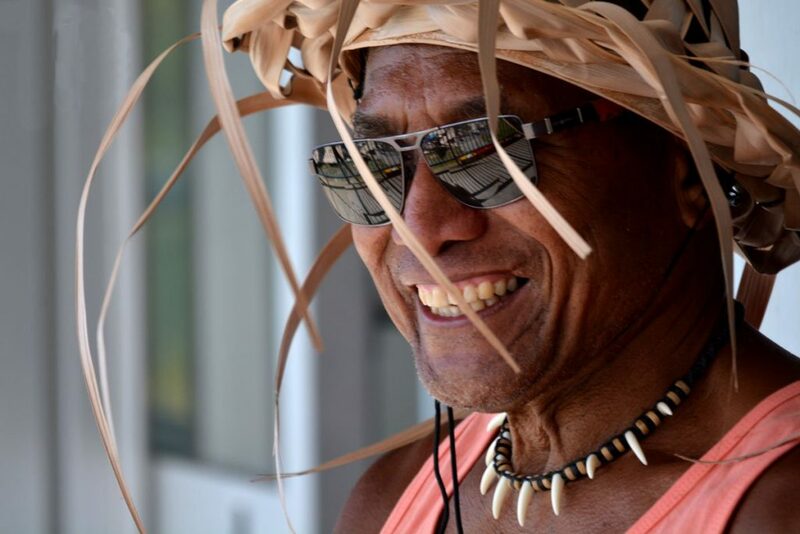 He has worked for many years to have Papua New Guinean kids accepted into the Royal Papua Yacht Club, often needing to secure grants to cover their membership. Yacht Club membership costs a years wages for many locals. Upu’s legacy is that now the entire team representing PNG are all Indigenous sailors. A longtime resident of Australia, Oops has always held his roots close, and is the regular PNG entry in the Australian Hobie Cat Nationals. Upu has introduced and encouraged dozens of Australian kids in Hobie sailing. He has given his time and served on the committee at his home club, Palm Beach Sailing Club on Pittwater, and on the NSW Hobie Association committee. His story is one of serving, and while the MBE was presented by the Governor-General of Papua New Guinea “For service to sport, particularly Hobie Cat Sailing”, this honour is equally deserved in Australia. Congratulations Upu – the Hobie family is blessed to have you encouraging us all.